A busy day with only a meeting in the morning followed by an afternoon of cooking for 19 guests…what to wear? 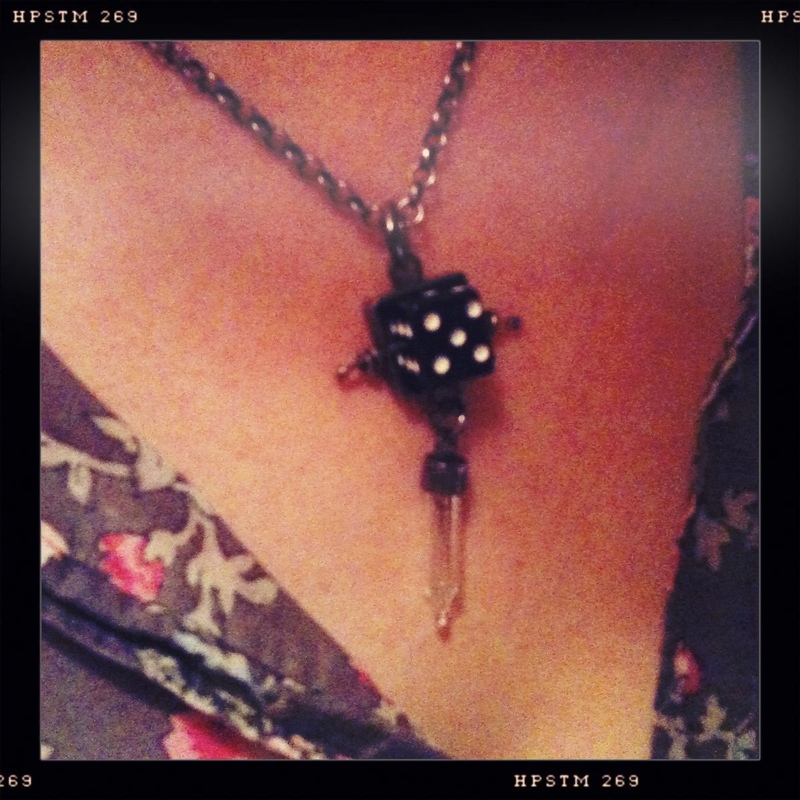 Ahh, my Susan Lenart Kazmer dice-and-lightbulb charm necklace with sterling rolo chain and Kazmerian balled wire bail. Of course. See, my last name is pronounced ‘dice’ even though it’s not spelled that way. Plus I love polka dots. Plus I like black and white.